Izmir’s famous Clock Tower is the symbol of the city. 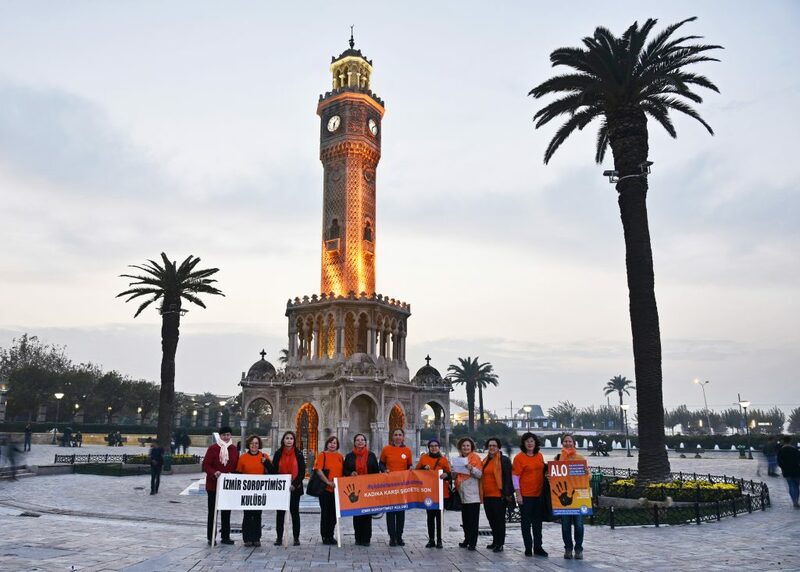 It is now lit in orange, starting on the evening of November 25th, International Day for the elimination of violence against women, as a project of Izmir Club within the context of 16 Days of Activism Against Gender-based Violence. The Soroptimists partnered with the Municipality of Izmir, Directorate of Studies on Women, to implement this project. Soroptimists wore their orange t-shirts and scarfs and gathered in front of the tower with banners. We also read the press release of our Union and answered the questions of people who were interested. The tower will shine in orange until Dec. 10.